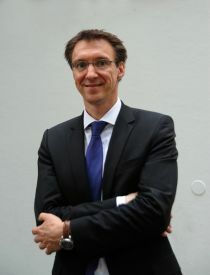 Volker Grossmann studied economics 1991-1996 at the University of Bonn and UC Berkeley. In July 2000 he obtained his doctoral degree from the University of Regensburg, Germany, for his dissertation on "Inequality, Economic Growth, and Technological Change". From 2000-2005 he was Assistant Professor at the University of Zurich. Since October 2005 he is Professor at the University at Fribourg, Switzerland, where he holds the 'Chair for Macroeconomics'. His recent research interests include the effects and determinants of international migration, the process of long run economic growth, and human capital formation. He has published in journals such as Journal of Development Economics, Journal of Economic Growth, Journal of Public Economics, European Economic Review, and World Bank Economic Review. Volker Grossmann joined CReAM as an external fellow in March 2014.